Media from across the globe arrive in Lake Louise to write stories, take pictures and interview athletes as they compete in the first downhill and super-G races on the World Cup circuit. Non-rights holder media must register in advance for approval. Rights holders can contact Infront Sports & Media directly for more information. Non-rights holders can register starting August 30, 2019. 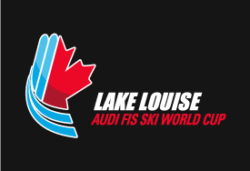 Infront Sports and Media holds the world-wide multimedia rights for the Lake Louise Audi FIS Ski World Cup. To protect these rights, any audiovisual including sound and/or filming of training runs, races, podium ceremonies or interviews is not permitted. Non-rights holders interested in capturing audiovisual at the race venue for the purposes of story-telling and promotion of the event and destination, that does not include training runs, races and podium ceremonies can make a request in advance for approval to access the race venue with a sound and/or filming device and will be permitted to conduct approved activities in a dedicated area, which will be designated by Infront Sports and Media and the Race Organizing Committee. Kindly note that approvals may not be, under any circumstances, granted for the restricted mix zone. Television and radio networks, photographers, journalists, bloggers, production and internet companies including any media who are non-right holders must agree to the audiovisual filming policy in advance of receiving media accreditation. If you are a non-rights holder you must agree to the Infront Sports & Media filming policy to receive media accreditation, even if you do not plan to use a sound and/or filming device. The filming policy is part of registration and you must agree to its terms to receive media accreditation. A preferred media rate at the Fairmont Chateau Lake Louise is offered to accredited non-rights holder media. Space is limited, first-come, first-serve. The booking code is shared within the registration process. You require the booking code to make a reservation. Team Captains’ Meetings are held in the Sunroom at the Fairmont Chateau Lake Louise. The first meeting for each event will at 8 pm on November 26 and December 2, 2019. All remaining Team Captains’ Meetings will be at 5 pm.